"I have a passcode on my iPhone but I recently dropped the device and both screens are badly damaged. I know the iPhone is working because I can still see texts and calls coming in but I can't access anything on the broken screen. I know I will eventually have to get it fixed but I would love to create a backup of the device one last time. I had a backup but since then, there have been some important data coming in and I just want to be safe. I can sync to iCloud but can't backup to my PC without a passcode. Does anyone know how to back up the iPhone without a passcode? Or better yet, access the data on my iCloud account? This question comes up a lot and we sympathize with this user. If you are going through a similar situation, this article will be of great help to you. Read on to find out how. Step 1: Launch iTunes and connect the device. Click on Summary and then choose "Back Up Now." Step 2: When the backup process is complete, you can put the device in recovery mode to unlock the device although this is not an option if the screen is broken. The only way to get your passcode if you have never synced with iTunes is to put the device in recovery mode and restore it as a new device. We have to warn you though, that doing this may erase all the data and settings on the device. Step 1: Open iTunes on your computer and then make sure that your iPhone is completely turned off before connecting it to your computer. Step 2: Press and Hold the home button and the power button at the same time until you see the Apple Logo appear on the screen. Keep holding the buttons until the device is in recovery mode. Step 3: Release the buttons and in iTunes, choose "Restore." The device will be restored to its factory settings and you can then set it up as new. Know more: how to reset the restrictions passcode of your iPhone. Of course, the above solution can only be possible if the screen of the device is responsive. If the screen is broken or unresponsive, you may want to get it fixed and then enter the passcode. If you don't want to repair the broken screen, check the 4th part to access your iTunes or iCloud backup files and extract important data from them. If your device is syncing with iTunes or iCloud and you just want to gain access to the data on that backup file, your best option would be to use an iPhone backup extractor like iMyFone D-Back or iMyFone D-Back for Mac . This program is designed to help you view and extract any data from your iCloud or iTunes backup. Some of its features include the following. 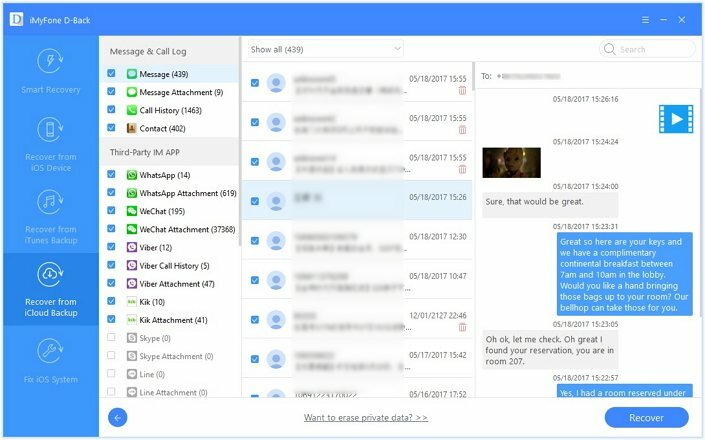 It can be used to view and extract up to 22 different types of data including messages, call history and photos, WhatsApp messages, Viber messages, voice memos and more. It is very easy to use. You can extract data from your iCloud or iTunes backup in just a few clicks. It comes with a preview function that ensures you are extracting the right data. 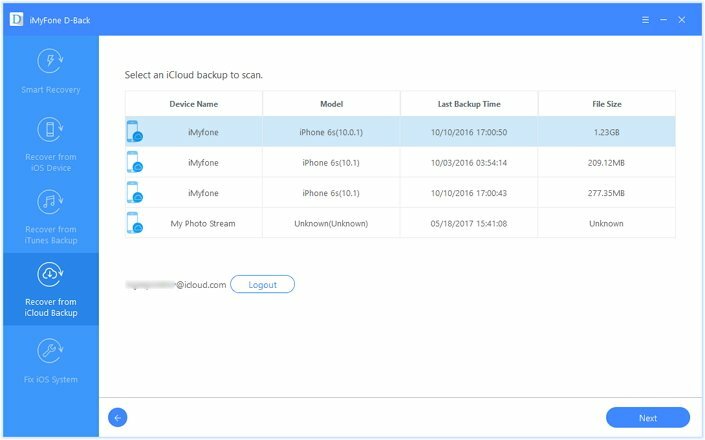 Download and install iMyFone D-Back to your computer and then follow these simple steps to extract data from an iCloud backup file. Step 1: Open the program and from the main window, select "Recover from iCloud Backup." Click Start to begin and in the next window, select the type of data you want to extract (You can always choose to "Select All"). Click "Next" to continue. 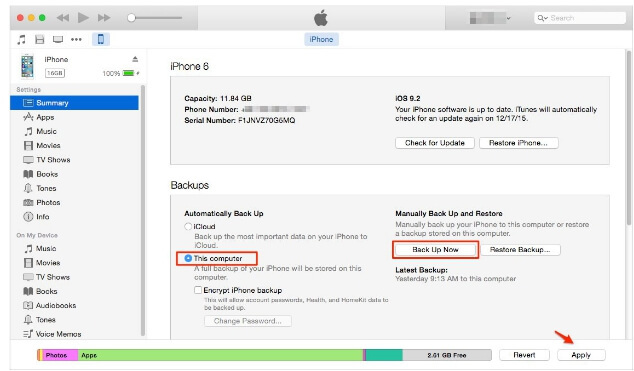 Step 2: Sign in to iCloud and the select the relevant backup file. Click "Next" to begin analyzing the selected backup file. Step 3: When the analysis is complete, preview and select the data you need and click "Recover" to save the data to your computer. You can then transfer the data to a new device. 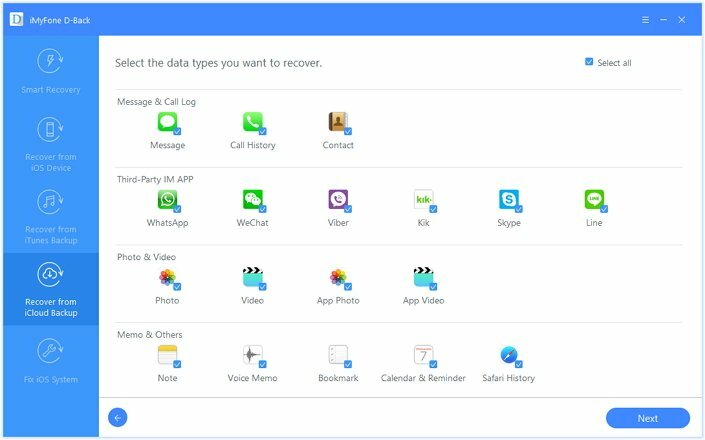 Download the program now to access your iPhone backup files and keep the important data from them.